I know I'm a little bit late with this post but as I seem to say a lot, better late than never. As I mentioned in yesterday's post Spring is most definitely here, we've left March behind and warmer and sunnier days on hopefully on the horizon. It's fair to say that I haven't had the best of starts to the year (surprise, surprise) when it comes to empties, finishing only 2 products in January and 3 in February. I really gave it my best shot in March though, and thankfully I managed to finish 7 products, blowing my previous yearly total right out of the water - Go me! As pleased as I was to finish 7 items, I was also really pleased with the variety of products, that I finished, I finished a nice mixture of skin care, body care, and make up products, in fact the only thing that probably missing was a hair care product. 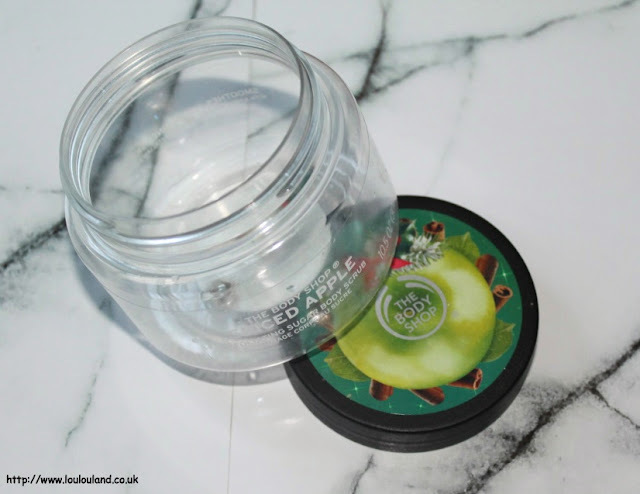 I've spoken on many occasions about my love for The Body Shop's festive collections, and this Spiced Apple fragrance was one of their Christmas 2016 launches. I am a big fan of The Body Shop's shower gels, they always foam really nicely, and I don't find them drying and they don't leave me skin feeling sore or irritated. This is a particularly nice one, the Spiced Apple fragrance smells a little bit like apple pie with the sweet yet tart apple, and just a hint of cinnamon, nutmeg and apple pie spices. I have to say I completely stocked up on all of The Body Shop fragrances in the sales so I have enough Spiced Apple and Frosted Berry fragrances goodies to last me till Christmas. 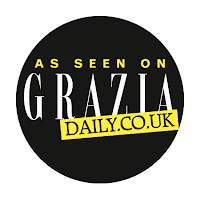 From one slightly niche product, to one that has an almost cult status. 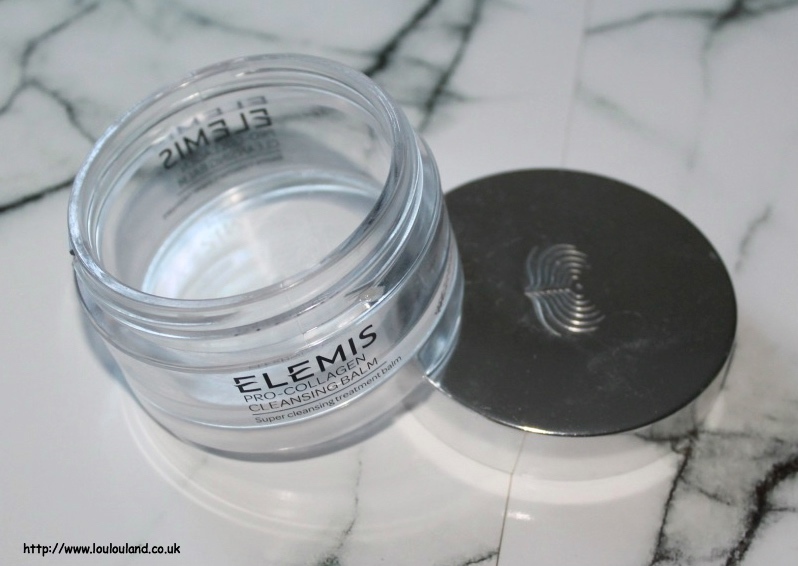 I've mentioned before how much I love the feeling of acids on my skin and this is another one of those products that can make an incredible difference to your skin in only a few uses. Basically they are slightly textured, cotton / fabric pads that are infused with glycolic and hyaluronic acids, and witch hazel. I normally use them at night, and all you do is just wipe the pad over clean dry skin, and let all of the active ingredients do their thing. If you like Alpha -H Liquid Gold you'd probably like these, they have a bit more oomph than Pixi Glow Tonic, and they can make your skin tingle a bit when you use them but it's definitely worth it. The aim of these pads is to re-texturise the skin and add brightness, and in my experience that's exactly what they do. Even after just a couple of days of use, my skin looks clearer, my spots seem to fade and I don't look quite as tired and washed out looking. 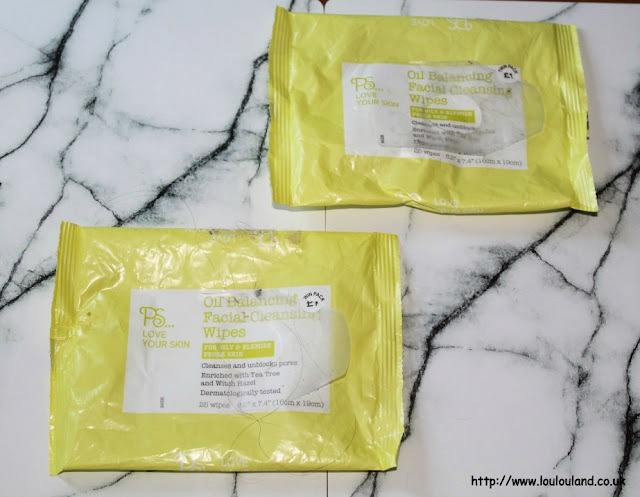 These are something that I would definitely consider buying again, but in the meantime I was very kindly sent a tub of the Nip + Fab Glycolic Fix Extreme Pads to try and I've also recently picked up a pot of the Superdrug Naturally Radiant Glycolic Acid Pads which are supposed to be a good, cheaper alternative. I will let you know what I think about both of these products in due course. 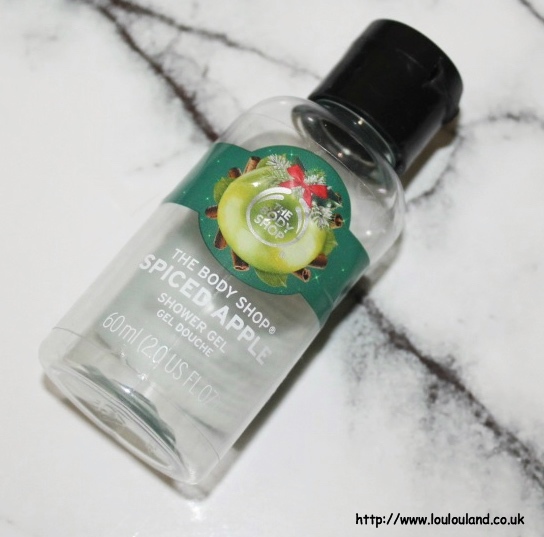 Another Spiced Apple item from The Body Shop, and by far my favourite product from the 2016 releases. Obviously it has the same fruity, spicy scent as the shower gel, only this time it's infused into an amazing sugar, body scrub. I'm not a fan of half hearted scrubs with finer than air grains, I love my scrubs to have a bit texture and whilst this wasn't a rough and scratchy scrub, the sugar grains were large enough, to make you feel as though you'd exfoliated. 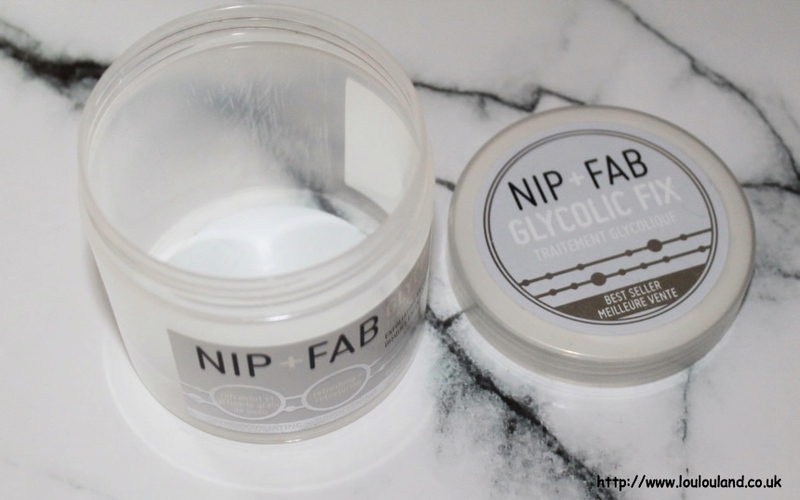 The sugar crystals were in a slightly oily base, which meant that this product was really easy to use, it was easy to rinse, and if left your skin feeling smooth and revived. Again I picked up a few of these in the sale, so again I should have enough pots to last me through till November / December time when this scrub will hopefully make a reappearance. Finally a make up item - okay it's a mascara not an eye shadow or a lipstick but it's still better than nothing. It's fair to say that my love affair with MAC Cosmetics is well and truly over. In the early days of this blog it safe to say that I and a lot of my contemporaries were MAC addicts, we knew the release dates of every single collection, we had our lists made ahead of time, and we knew almost to the second when the collection would launch online. I don't dislike the brand by any means and I still love a lot of their products, I just think that I reached saturation point, I was buying things for buying sake, not because I actually wanted them or I would actually use most of them. Looking back at myself now I could kick myself for how much money I used to spend every month purely on MAC. I've definitely learnt my lesson now and I only pick up things from the brand or ask for things that I really love. I'm not sure how long this mascara has been in my collection, but a few months ago I decided to open up the box and get it used. Innovative at the time and now much copied Haute and Naughty Lash basically offers you two different mascaras in the one tube. 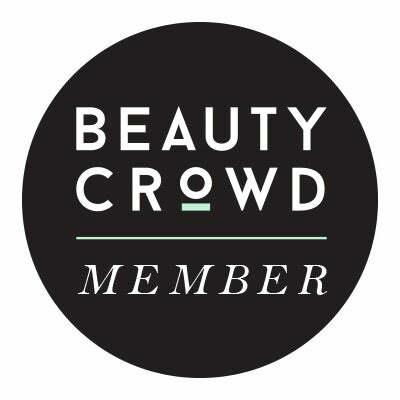 At first I thought it contained two brushes, but in fact a clever wiper system allows this mascara to give you two different effects in the one tube, a natural defined lash and something a bit more dramatic. 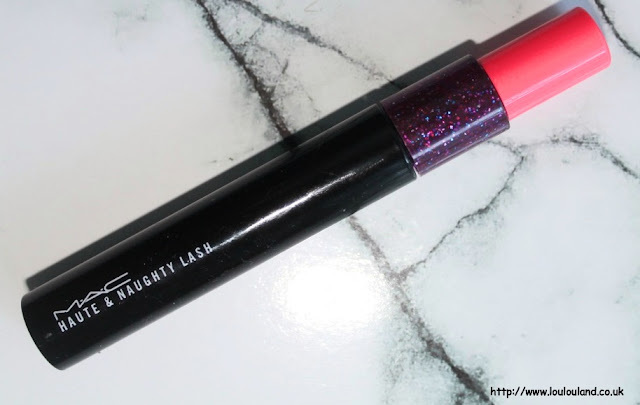 I did actually quite like this mascara, the two effects were noticeably different, and it did make lashes look longer and thicker depending on how I used it. I did find it just a little bit clumpy though, and I did keep a lash comb and a cotton bud on hand, just in case, when I applied it. 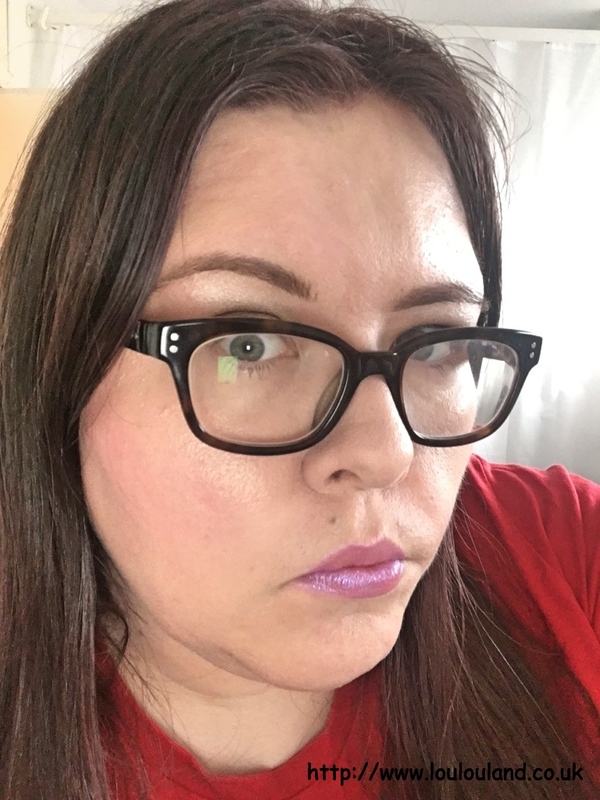 I'm not a 100% sure I would repurchase because of that but considering my experience with one of MAC's other mascaras Zoom Lash wasn't the best, this wasn't bad.